I have completed another project and it's a simple hat pattern that I designed. This pattern uses up those pesky odds and ends of yarn that you just don't know what to do with. I had a little bit of left over Ultra Alpaca and Ella Rae Classic. That was the inspiration for this hat. Potpourri Fusion hat is a simple stockinette beanie design that knits up quickly. Unless you're like me and are working on lots of projects, then it takes just a little bit longer. 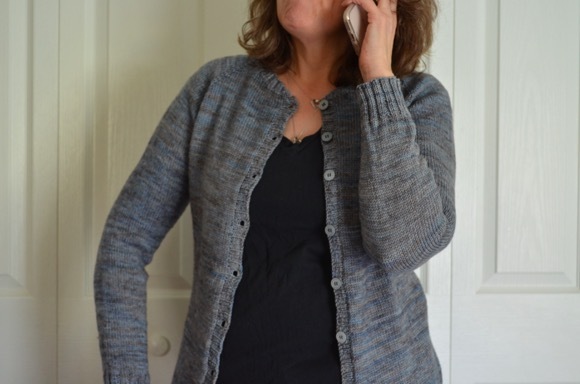 The photos are with the ribbing folded up but you could wear it slouchy and unfold the ribbing. Below is a very talented self portrait :) I think I am getting pretty good at this! Pattern is available here. We will just add self-portraiture (via camera lens) to your list of talents... 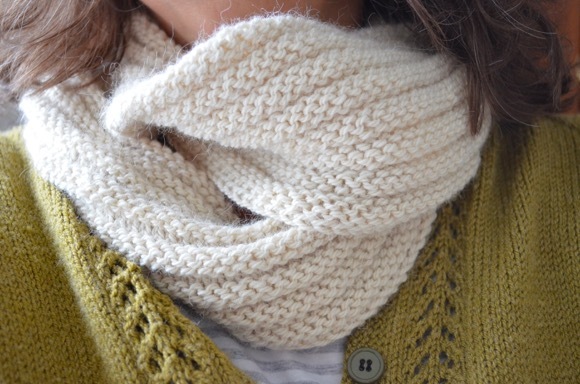 Your knits are always beautiful and this one certainly didn't disappoint. I love it! beautiful and resourceful!!! design!!! and you ARE very good at the self portrait thing!!! love the picture--love the post!!! Thanks Karen for another great pattern, I can't wait to cast on! You are really so multi- talented...knitting, pattern designer, self portrait photographer...everything looks fantastic! Awesome! Thanks for the pattern! You did a great job with the self portrait. I always manage to have 10 chins when I try to do that! Good job, Karen! I love using up odds and ends of wool. :) And I love seeing the photo of you!! cute! and a great idea for all those odds and ends of wool that are slowly taking over my home. Great hat! I love the color combo. As I was up to my elbows in laundry today, I decided that I need to knit something new very soon! Love those colors! And "hats off to you" for taking a good photo! Ohh I love the hat! Just this afternoon I was digging around in my stash to find yarn to make the cowl pattern you posted a few weeks ago. I think I found some I like for it! Love it!! And it looks great on you :) Thanks for the pattern. Great hat! I'm all for using up odds and ends. Thanks for the pattern!